Jesus and his followers went as far as Capernaum, and as soon as the sabbath came Jesus went to the synagogue and began to teach. 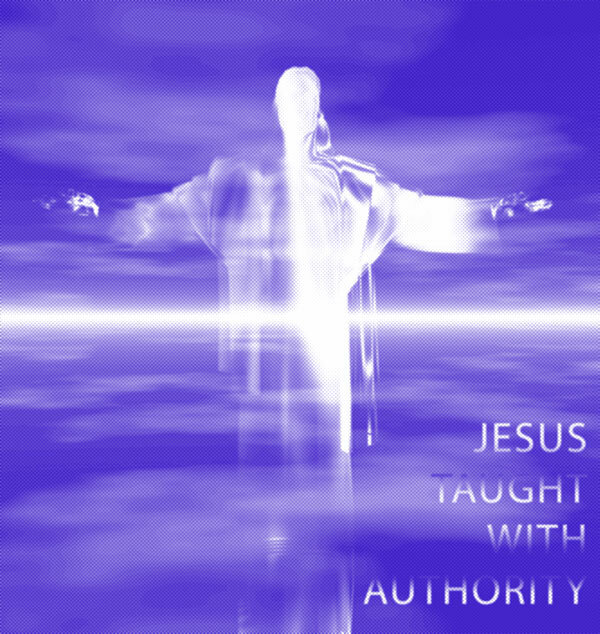 And his teaching made a deep impression on them because, unlike the scribes, he taught them with authority. In their synagogue just then there was a man possessed by an unclean spirit, and it shouted, ‘What do you want with us, Jesus of Nazareth? Have you come to destroy us? I know who you are: the Holy One of God.’ But Jesus said sharply, ‘Be quiet! Come out of him!’ And the unclean spirit threw the man into convulsions and with a loud cry went out of him. The people were so astonished that they started asking each other what it all meant. ‘Here is a teaching that is new’ they said ‘and with authority behind it: he gives orders even to unclean spirits and they obey him.’ And his reputation rapidly spread everywhere, through all the surrounding Galilean countryside. Many are afraid of God – without cause. The only thing that makes us afraid of God should be evil. But we can be more afraid of God’s goodness, uneasy with his of love and mercy. The only thing in life we should fear is the evil that can be around us. Jesus named the spirit whatever that meant. Naming gave him power. Jesus knew evil; where he met it and he overcame it. With love…with kindness for this man. Like going into a smelly room, and you spray it with fragrance. That’s good and evil meeting. Jesus – the good man and the evil of the world. One big evil in us is the ‘it’s mine’. We learn it from childhood. We take the plate of cakes and say all mine. We normally get over this but not always. We need the conversion from it’s mine to it’s ours. That’s the christian way. The environment is not ours, but for us. We have no right to kill off livelihood all over the world for our paper, our oil and our greed. Any abuse of people is the ‘you are mine’ syndrome. Nobody owns anyone in this earth and we belong only to God in a free way. Evil will never win out to the end. It has been conquered kindly on the Cross, with love. Somehow this man was possessed. Evil came into him and not his fault. He left clean and whole, with a kindness in his heart he would never forget. The people were amazed not just at Jesus but at the change in the man who had been possessed. This entry was posted in Gospel of Mark, Gospel Reflection, Liturgy Resources, Prayer Resources, Scripture, Year B and tagged Capernaum, Donal Neary SJ, February 1st 2015, Gospel Reflection, Gospel Reflection for 1st February 2015, Healing, Jesus, Jesus of Nazareth, Mark 1:21-28, Scripture and Reflection for 4th Sunday Ordinary Time Year B, Sea of Galilee, simon, unclean spirit.